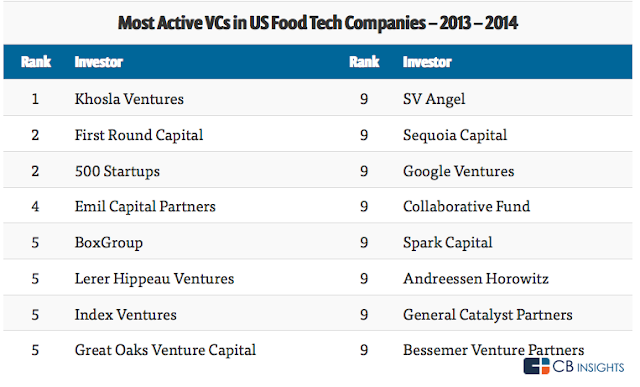 US VC-backed Food Tech companies raised $1.07B in 2014 up 272% YoY.The biggest vc investment on food technology was backed by" Khosla Ventures"who have invested in food and grocery including Unicorn Instacart, and food brands Hampton Creek Foods and Unreal Brands, among others. 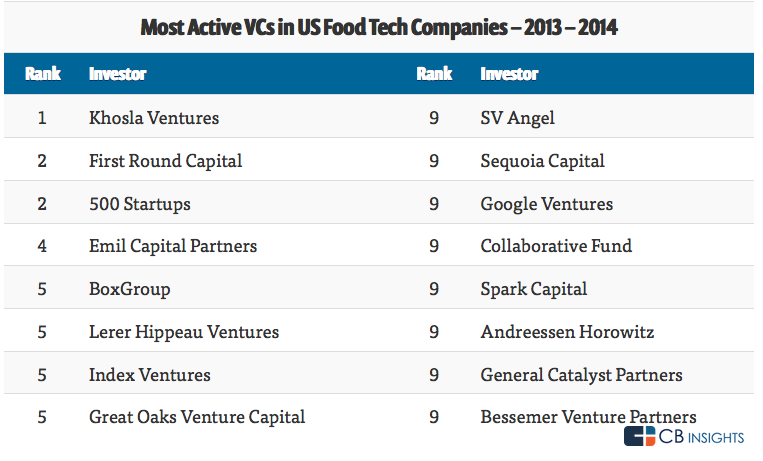 According to CB insights "VC fundings in US have been spread across a range of food-related industries, including food delivery (cos like Instacart or Postmates), food replacements (Hampton Creek Foods, Soylent), and restaurant tech companies (E La Carte, Reserve), among others. 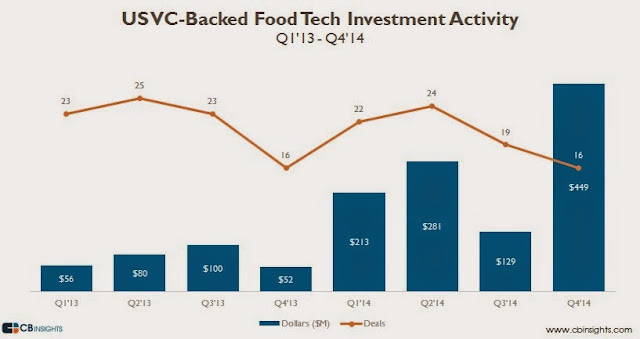 Q4’14 was the largest quarter in the past two years driven by Instacart’s $220M Series C, as well as Hampton Creek Foods’ $90M Series C.